National Apple Day was yesterday here in the U.K. Since we have two trees, groaning under the weight of their abundant harvest, in our back garden, an apple bake was a must. 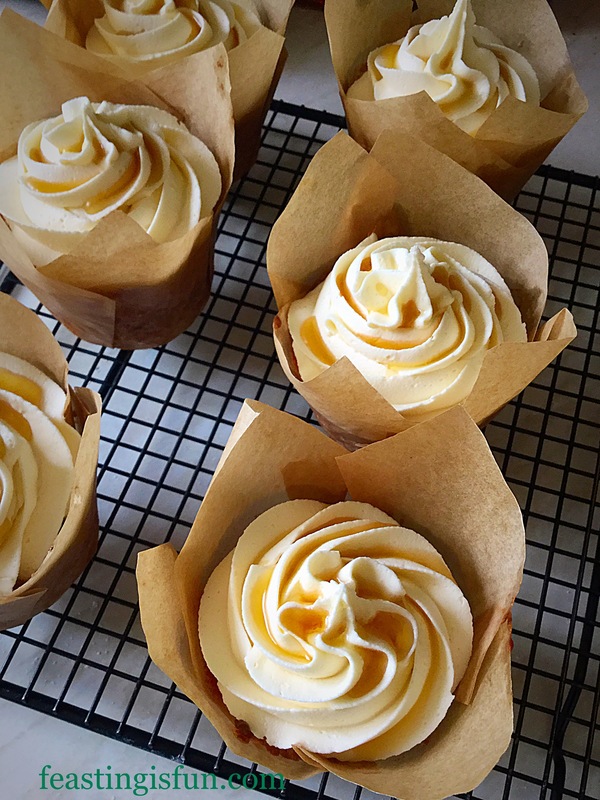 I recently received a sample of Real Maple Syrup, thats how I formed the idea for these Maple Syrup Frosted Apple Cupcakes. The finished result was better than I could have ever predicted. 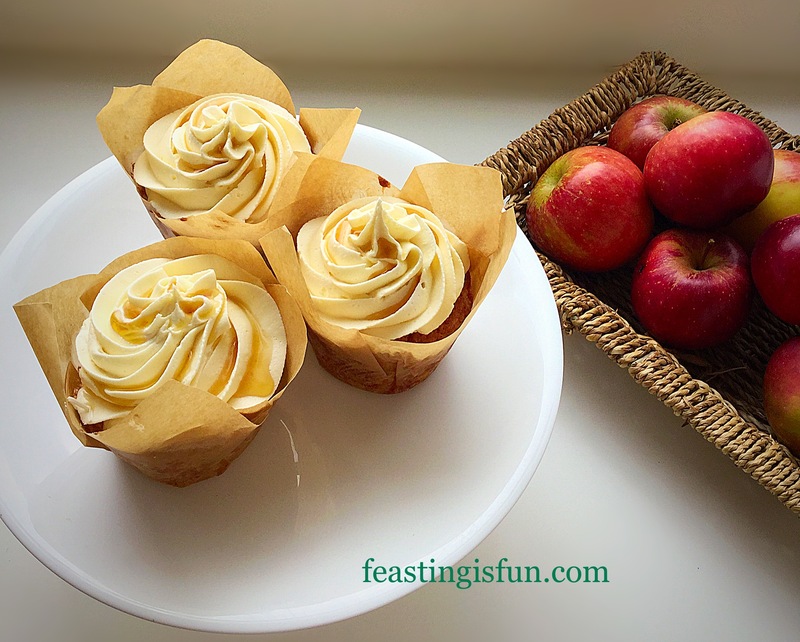 Maple Syrup Frosted Apple Cupcakes perfectly complimenting flavours. One apple tree produces Spartan apples. Tennis ball sized, shiny red apples that are deliciously crunchy and sweet. Yet the variety of the other apple tree is unknown. Because the apples have a sharper taste than the Spartans, similar to a slightly sweeter version of Granny Smiths in taste, yet with a red/green colouring. Fortunately, both apples are great for eating and cooking. Resulting in a combination of both being used for these cupcakes. Maple Syrup Frosted Apple Cupcakes one bite and you lose yourself in a taste sensation. Grating the apples into the cake batter ensured they didn’t brown too much. Unlike Granny Smith apples, both of the varieties I used brown easily when sliced/grated and exposed to the air. While the grated apple could have been tossed in some fresh lemon juice, which would have prevented discolouration, I didn’t want to do this for two reasons. First of all, the lemon flavour would have been present in the cupcakes, this could have overpowered the apple and frosting. Also, the lemon juice would have added moisture, resulting in a wetter batter, where the apple may not have kept it’s even distribution. 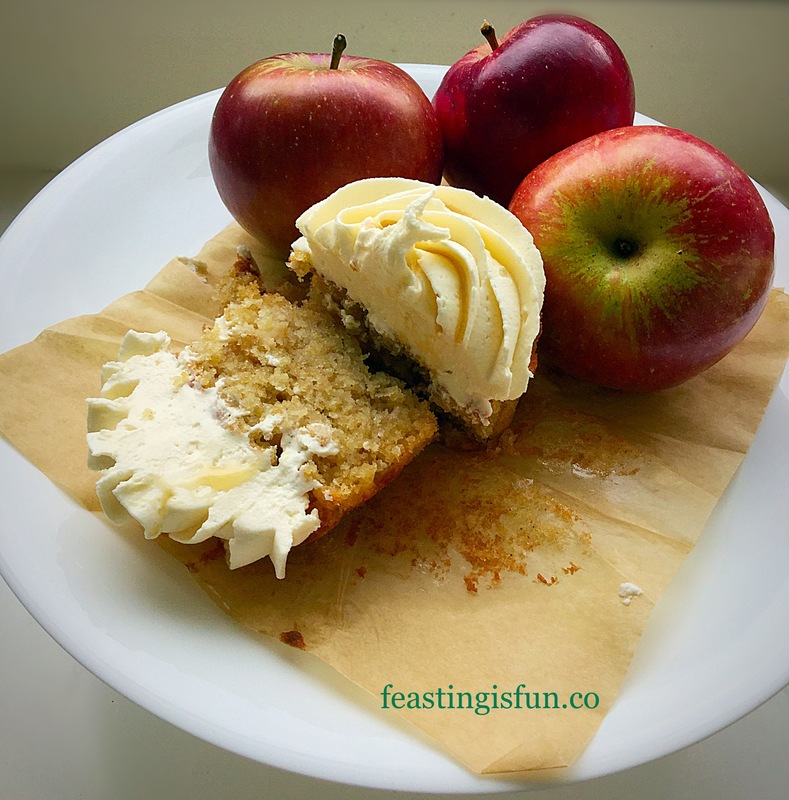 Maple Syrup Frosted Apple Cupcakes even better the next day! Preparing the cake batter first and then adding the grated batter works really well. 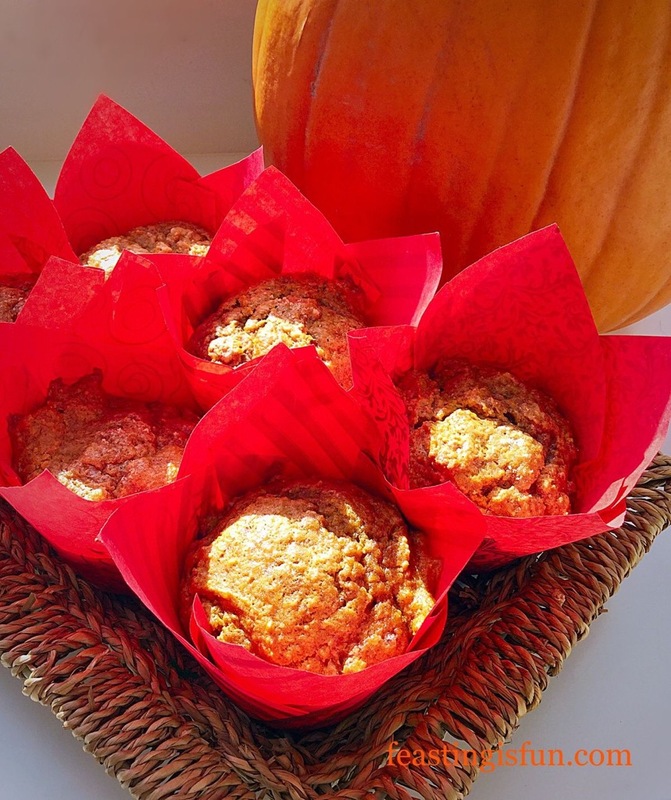 While ensuring that each cupcake has plenty of evenly distributed apple and a light, moist crumb. Without the maple syrup frosting, these could easily be served as muffins, in which case the addition of some toasted pecan or walnut pieces would bring added flavour and texture. Having tasted these cupcakes with the dreamy frosting I could not possibly eat them any other way now! 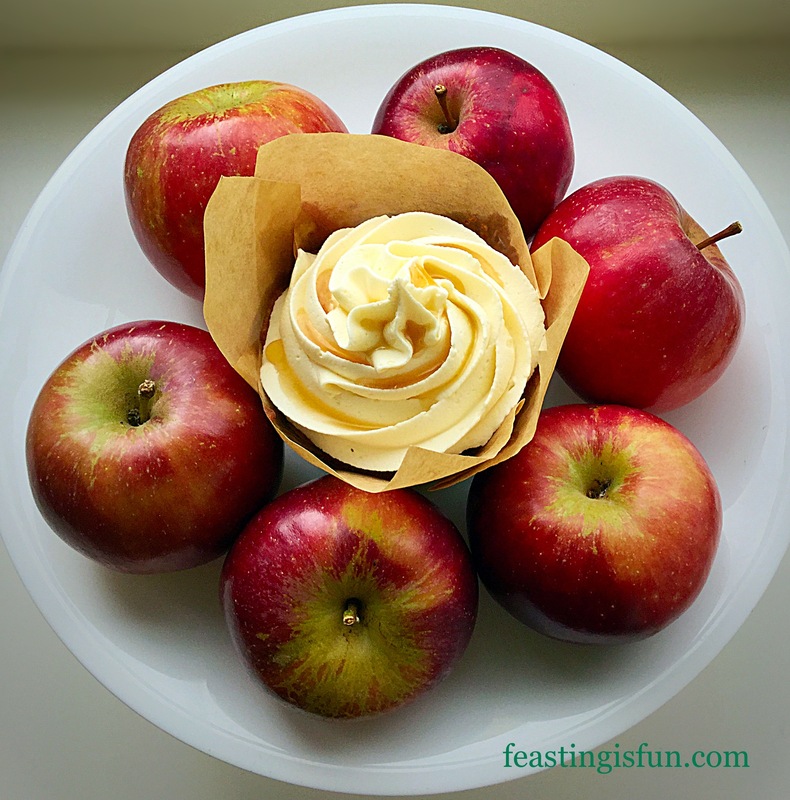 Maple Syrup Frosted Apple Cupcakes just a hint of cinnamon takes this to another level. 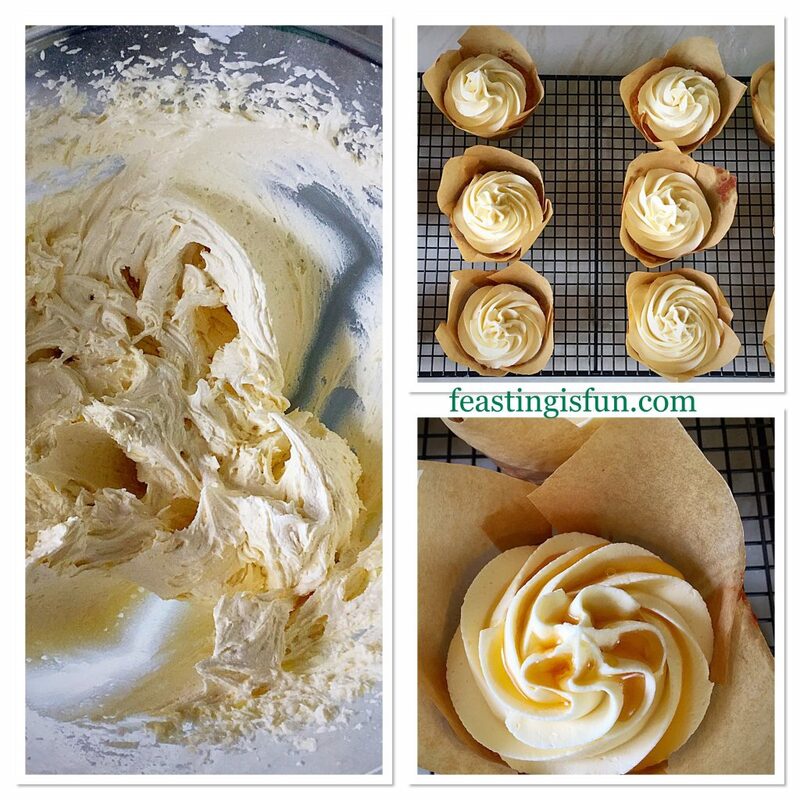 Maple syrup frosting. Just think on those words for a moment! 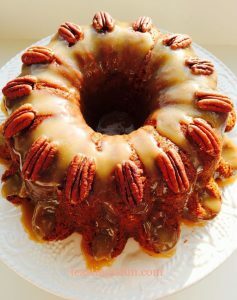 Initially I had worried that the addition of maple syrup to a buttercream frosting would result in a too sweet topping. Instead, the opposite happened, with the maple syrup adding a very slight smoky, creamy flavour. Resulting in the sweetness of the unflavoured frosting being dumbed down. As a result, the final flavour paired beautifully with the lightly spiced apple cupcake. First line a 12 hole deep muffin tin with tulip cupcake wrappers, or deep muffin cases. Next in a large bowl add the butter, sugar and salt. Whisk/beat them together until they are very pale and creamy. Add the vanilla extract and all 3 eggs to the bowl. Whisk/beat briefly to partially mix the ingredients, without the risk of them curdling – no more than 30 seconds. Now sift the flour, baking powder and cinnamon into the bowl. Set the bowl to one side. Working quickly, yet carefully, peel and grate 200 grams of apple. Add the grated apple on top of the flour, in the large bowl and using a spoon mix all the ingredients together, until they are just combined. Next, using a dessert spoon, place a heaped spoonful of cake batter into each of the cupcake wrappers. Finish by dividing any remaining batter between the twelve cases, so that they are all equally filled. Finally place the tin in the middle of the preheated oven and bake the cupcakes for 25-35 minutes. The cupcakes are baked when they spring back from a light touch. Use an inserted skewer to check if they are baked, if it comes out clean they are ready to remove from the oven. Once baked remove the cupcakes from the oven and leave them in the tin to fully cool, regardless of which type of wrapper/case has been used. 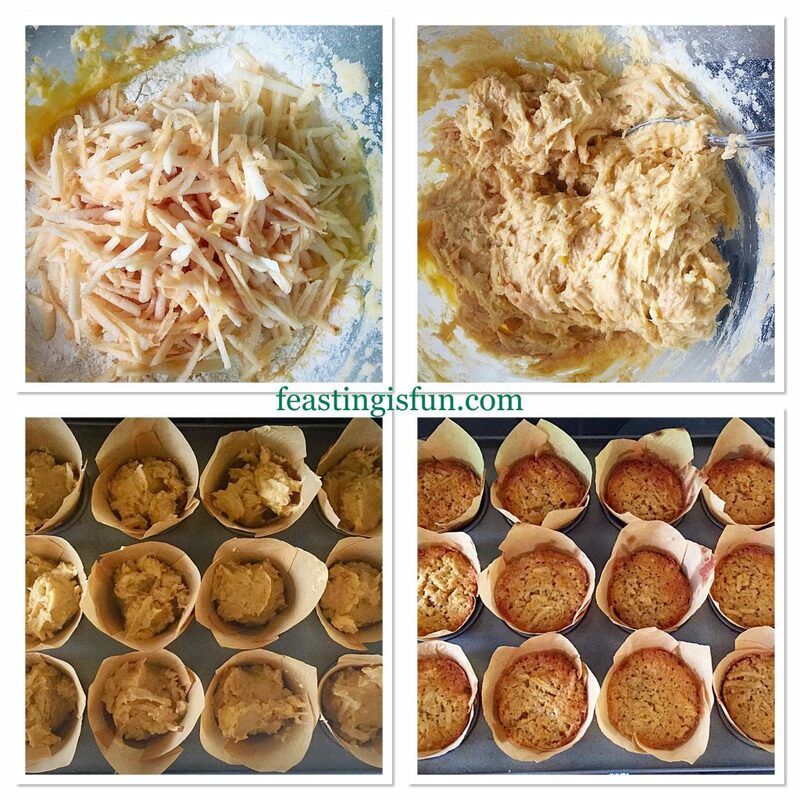 The stages of making the cupcake batter, through to filling and baking them. Allow the cupcakes to fully cool before frosting them. First, add the very soft butter to a large bowl. Then sift the icing sugar into the bowl. Next add the vanilla extract, maple syrup and very hot water. Finally whisk the ingredients, starting slowly and increasing in speed, until you have a smooth, creamy, light buttercream. Fit a large piping bag with a large star piping nozzle – Wilton #1M. Fill the piping bag with the maple syrup frosting. Starting in the centre of each cupcake pipe swirls, so that the entire top of the cupcake is covered and then, continue to pipe, bringing the tip back to the centre and finishing with a star, as the nozzle is pulled away. Continue piping until each cupcake is generously topped with frosting. To finish the decoration, drizzle approximately 1/2 teaspoon of maple syrup on to the top of the frosting, allowing the drizzle to drip around the frosting swirls. Maple Syrup Frosted Apple Cupcakes ready to be served. 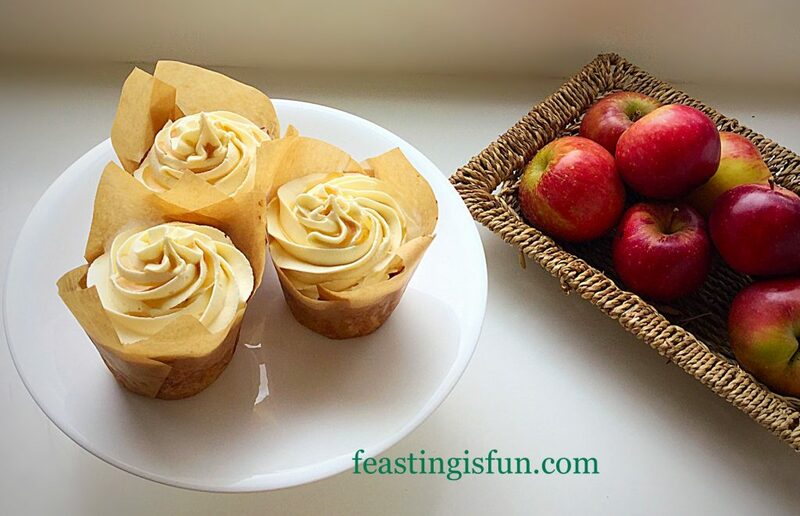 Maple Syrup Frosted Apple Cupcakes a taste of Autumn in a cupcake! 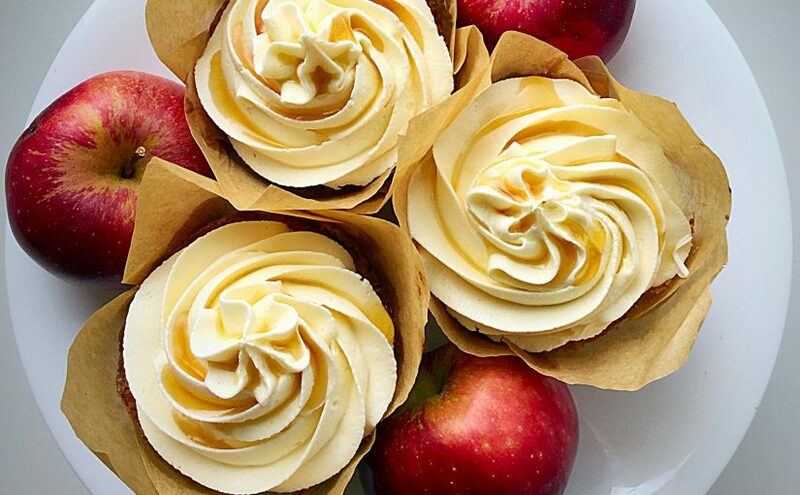 Fresh apple filled cupcakes topped with whipped maple syrup buttercream. Baking these cupcakes certainly makes the most of seasonal fruit. Since there are plenty of apples freely available I will be making again. Another reason to bake them is also so they can be shared. 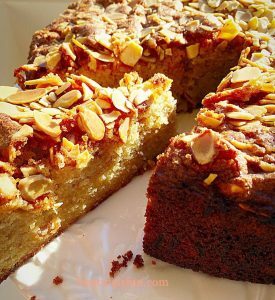 While none of our friends or neighbours expect deliveries of cake, it is an extra special way of sharing our abundance of apples, which are also given away. Because I find baking and cooking relaxing, creating new recipes can also be very rewarding. Firstly as a personal achievement and also because of the pleasure my baking brings to others. Faces full of pleasure as they bite into a delicious treat, big smiles when a friend receives a birthday bake and gracious thanks from a busy, tired family upon receipt of a homemade lasagne. 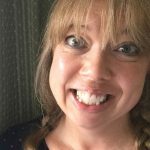 Life is for sharing and if my small contribution encourages others to do the same, well then, this blog, Feasting is Fun, will have served its purpose. Do you share your makes and bakes?